The good news is you don’t have to learn too much. If it’s on sale in the produce section it’s probably in season. Grab all those things and cook them. 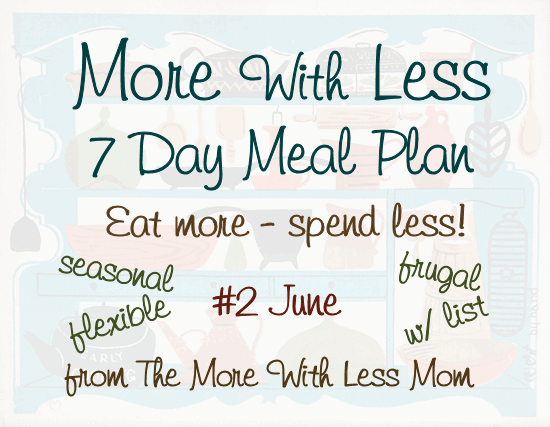 Healthy and delicious food plans like this one make life so much easier for us! IYou put so much effort into this plan and itis an invaluable resource. 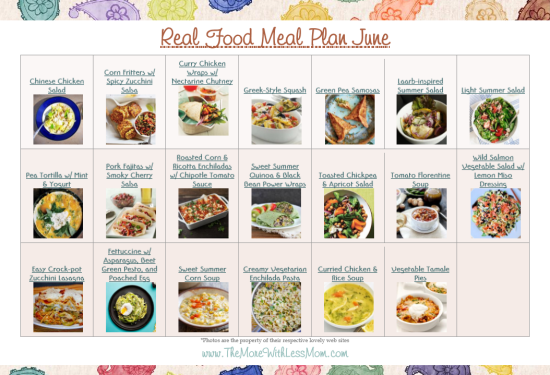 am delighted that you shared your fabulous June Real Food Meal Plan with us on the Healthy Happy Green and Natural Party Blog Hop. I appreciate it. I’m pinning and sharing. I am happy to come back to your hop, thanks for hosting! Great post. Thanks for all the valuable information you have provided. Looks like some great recipes and I love the seasonal produce guide. Thanks for sharing on Real Food Fridays. Pinned & Twitted. Thanks for visiting! I love seasonal veggies. I love this post and followed the links to your old post and to theStoneSoup.com — love, love it!. 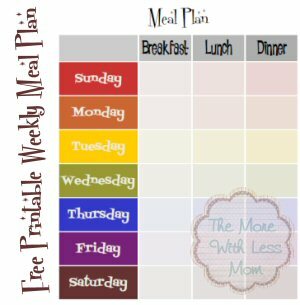 I meal plan about a week at a time and it is flexible. 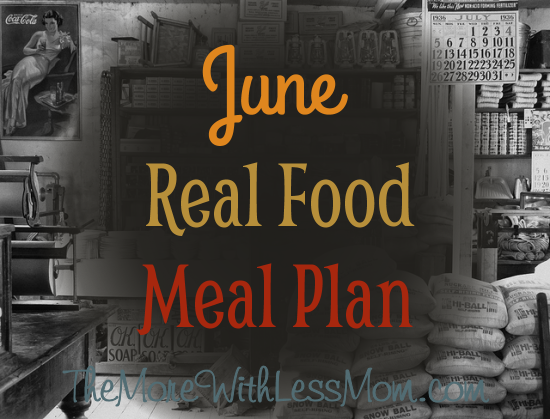 We eat perishables first too and have to plan around kids’ activities in the evening. I used to plan a month at a time. When my husband first started having chronic GI problems we couldn’t plan more than a few days at a time so that broke me of the habit. He is doing better now so I might move in that direction again. It made shopping easier (and more cost effective). Good news: this post has been selected by Family Fun Friday as a featured post! Stop by brittalafont.com (recipe hostess) later today to grab your “I was featured” button. Already pinned it! Woo hoo! Thank you! 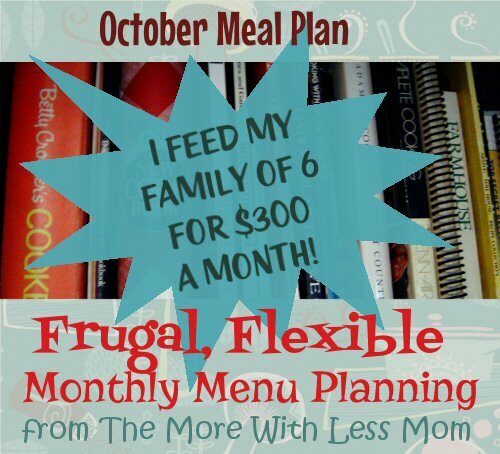 Meal planning is really about doing what works best for your family, it is so individualized. I appreciate it. I’m pinning and sharing.thanks so much!